The toilet is a relatively new invention, but we as a society seem to be so attached to it now, we have no idea how to cope if it breaks. 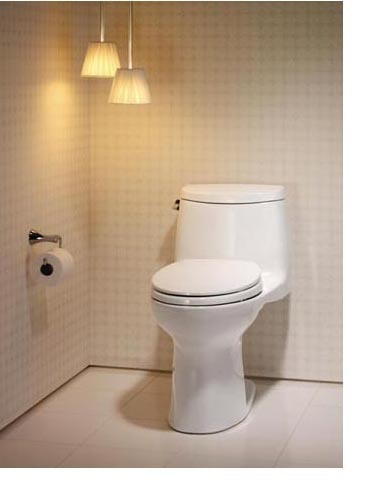 Flat Rate Plumbing Company offers a complete toilet repair and replacement service to all our valued clients. We offer toilet repairs in the Grand Prairie Texas area. There is nothing worse than having a blocked or stopped up toilet. It always seems to happen at the worst of times too. Either when you have visitors, or really need to use it. This is why Flat Rate Plumbing Company offers this most valuable of services. There are a wide range of ways to repair a toilet and we know all of them. We guarantee that we will fix whatever the problem is fast. Enabling you to continue your life as normal. Our training and experience enables us to quickly and accurately diagnose problems with the toilet or drainage system. We usually have all the necessary equipment with us to make a repair, or can acquire parts if needed. Not only do we concentrate of fixing the problem as soon as possible, we also have an eye on preventing the next occurrence. Don’t let a clogged toilet get you down, call us today and we will be there in no time! There are a couple of things you could try before calling us though. As much as we want to help you, we appreciate that being without a toilet is an unenviable situation. If the toilet bowl is full or overflowing, bail out some of the water with a plastic bottle or container. Make sure you protect your hands with rubber gloves and wash your hands thoroughly when finished though. Ensure whether the bowl is empty, full or overflowing, you get it so it’s half full before trying the next step. Place the plunger directly over the opening at the bottom of the bowl and push up and down a few times quite firmly. If the blockage is a loose one, the remaining water should now flow freely. If it does, give the plunger another few pushes then add a bucket of water to the bowl and plunge once more. Once the water has run off, flush the toilet as normal. If that doesn’t work and you have or have access to an auger, feed the tip of it down into the drain opening of the toilet. Crank and push with some strength clockwise, until it tightens up, then reverse the direction until it tightens up again. Do this until the auger is as far as it can go. Pull the handle up to remove it. This may need a little playing to break it free, but it will come up eventually. This will either push the blockage down the drain or pull it back into the bowl. Either way the toilet should now run free. If neither of these methods work, then I’m afraid you’re going to have to wait for us to arrive!